Pacing 1 - What Can Pacing Do For You? Today we're going to look at the elements of story pace. In Pacing 1, I said the fun of an RPG comes from how the story generates problems that create exciting tension. The pace of the story is the rate at which story problems establish and relieve tension, and how exciting and fun that is for the players. Pace is not as simple as "the faster the better," or else I would just tell you to throw life or death situations at the players until they pass out from too much fun. It's not that easy. But it's not hard, either. As a GM, you guide the story and generate problems. Beyond that, your influence wanes a bit. You can use game systems to build tension -- nervousness about the outcome of events -- through challenge. Game systems are built to generate uncertainty about outcomes. The actual feeling of tension in the players is not directly under your control. You can manipulate the precursors of tension, but you cannot make them feel tense. Excitement and fun are also not under your direct control. Tension comes from risk. The pace of problems in your story is how often a big risk comes up. The concept of agency relates to the pace of problems. The opposite of a threat is an opportunity - some chance for the protagonists to take action to achieve their goals. Opportunities give players agency. Threats take it away. Consider the pace at which you use opportunities and the pace at which you use threats. But there's more to it. The magnitude of problems in your story relates to pace as well. We'll call this the "stakes." The higher the stakes are, the more things that the players care about are at risk. Pace relates to stakes, because the pace of high stakes scenes matters. There are three kinds of scenes in tabletop RPGs. Exposition scenes are scenes with no conflict at all. All they do is pass information from the GM to the players (or vice versa). Because they have no conflict, there is no dramatic question to answer in the scene. Examples: The PCs learn important information from the reporter. The PCs go shopping for important supplies before their airship leaves. The PCs forge a magic sword. The wizard gives the PCs a quest. Opportunities are scenes where the PCs take an active role to initiate the conflict. They are given an opportunity to achieve something, but there is a conflict they must overcome to do it. Opportunities are not without danger or risk. Examples: Can the PCs get the truth out of the shifty reporter? Can the PCs get all the supplies they need before the airship departs? How good of a magic sword can the PCs forge? Can the PCs convince the wizard to give them a quest? Threats are scenes where the PCs take a reactive role. The conflict comes from outside. Examples: Can the PCs keep a secret from the prying reporter? Can the PCs escape the city watch before their airship leaves? Can the PCs prevent a demon from inhabiting the magic sword as it is forged? How long will it take before the PCs discover that the wizard has sent them into a trap? Exposition scenes involve no challenge, and a good deal of agency. The players' characters choose what questions to ask the reporter, what supplies to buy, what kind of weapon to forge, and whether to take the quest. Sometimes there's only one good choice, but even then there is no challenge. They can choose to take a sub-optimal choice if they want, and there's no die roll they have to make to do so. Because there is no challenge to exposition scenes, they generate no tension. If you use exposition scenes at a high rate, the pace of scenes with more tension slows. This is true in movies and novels as well as tabletop RPGs. Opportunities are challenge scenes with a good deal of agency for the player characters. They arise from the PCs' plans and goals, and advance the PCs' goals. But there is some hazard they need to overcome to do it. Opportunities have stakes (see below). Because opportunities involve some stakes, they move the game forward at a moderate pace. But threats set the highest stakes. Threats are unexpected and take away the PCs' agency. Note I'm saying PCs' agency, not players' agency. Too many threats can take away too much agency from the PCs, and the players might actually start to feel helpless to do anything except react. Pacing can be tricky. Here's a simple guide to help make the story move forward without taking away the PCs' agency (except when warranted - there will be more on this in a later post in the series). Never plan what the protagonists do. This is called railroading. Plan what NPCs are up to, but not what the PCs will do. This is reflected in the language I chose here: Opportunities and Threats. Threat scenes require you to plan for what the antagonists do, so there's less risk of railroading there. Opportunities are trickier. When you design opportunity scenes, present the opportunity and the barriers to realizing it, not the strategy the PCs will use. You might want to scaffold the scene and establish boundaries around it, but within your boundaries, the players have freedom to address the opportunity however you want. In past posts I've defined risk as making consequential decisions with incomplete information. The consequences of those decisions are the stakes wagered on the outcome of the conflict in a scene. People often describe a poker game as "high stakes" - meaning that there is a lot of money on the line. The higher the stakes, the more tension the conflict generates. The more tension, the more excitement. The more excitement, the more fun. Except it doesn't work like that all the time. If the stakes are always high, the drama loses its meaning. If every scene is a life or death struggle, it becomes routine. The high stakes lose their impact, and the players become inured to the tension. So authors, screenwriters, and GMs vary the stakes from scene to scene, creating a rhythm or pace of high stakes scenes. Not only that, but we vary the rhythm as the story progresses (more on that later). Permanence: The hazard cannot be reversed and will last forever. Ripples: The consequences are far-reaching effects across factions, societies, time, and space. Story Scope: The conflict directly address a story hook. It's especially potent if it could invalidate the protagonists' goals and strategies. See below for more on story scope. Clarity: The consequences are explicit enough that the protagonists can imagine them happening. Here's an important note: The players have to know the consequences for them to have impact. The characters do not. In a horror game, the GM might ask everyone to check out that strange sound. The characters may be a little spooked or just confused, but the players should be able to figure out that there's probably a monster in the house, and the challenge has deadly consequences. Immediacy: The consequences will be immediate -- there will be no second chances. Moral Onus: The protagonists will be ethically responsible for the consequences. Security: Protagonists risk the antagonists knowing more about them than they know about the antagonists. Players hate feeling exposed and insecure. Contained: The effects will be limited, perhaps only within the scene itself. Relevance: The hazard is not strongly tied to a story hook, or is only tied to immediate actions and situations. Bluster: The consequences are so vaguely defined that the protagonists might assume they're just bravado. If even the players have no idea what the consequence of failure is, there's not much to generate tension. They might assume the worst, but only if you've given them some reason to do so -- and that's information. Second Chances: The consequences far in the future, so the protagonists may suspect they can always fix things before it becomes a problem. The Good Fight: The protagonists will have no ethical responsibility for the consequences if they try hard, but fail. Opportunities vs Threats: If the stakes involve attacking an antagonist, they're lower because failing to hurt someone is usually not as bad as failing to avoid being hurt. Security: The protagonists are able to act indirectly, so failure would not risk exposure to counterattack or reveal anything about them. Think of a ladder descending from your campaign's central themes down to the current scene. Each rung on the ladder addresses the rung above. So the current scene addresses the PCs' plan. The PCs' plan addresses their story goals. Their story goals address the story's problem. The story's problem relates to the campaign's themes. Each rung on the ladder is a subset of the rung above. The current scene is just one part of the current plan (or a threat to it). The PCs' plan is just one of many strategies they could use to achieve their story goals (the one they think is best, presumably). The goals the PCs have are their ideal way to resolve the story's problem, but there are other ways it could resolve. The story's problem is just one problem of many possible problems that can be generated by the campaign themes. Stakes that address things that the players had a hand in deciding -- the story goals and plan -- are going to generate more tension and excitement than stakes that address things less in their control -- the campaign themes and story problem. About halfway up the ladder of story scope, we get story goals and plans. These relate to unresolved problems. The story problem is one unresolved problem, and a plan addresses multiple problems. Every story problem you add that is not immediately resolved creates more unresolved tension. Every scene that ends with conflict resolution in the PCs' favor resolves some tension. To increase the pace, create more story problems than the PCs resolve. To decrease the pace, let the PCs resolve more story problems than you create. I just love a good example. The GM is running a Trail of Cthulhu campaign that has a theme stated as "The dawning realization that all of human history is just a demented Mi-Go experiment." The players may or may not know this, but their characters certainly don't. The current story problem is "Can the PCs determine what happened to the lost Greenland expedition?" Their goal in the story is to venture out into the arctic tundra on behalf of Miskatonic University's geology department, and determine the fate of the three missing scientists. Their current plan is to establish a base camp at the researchers' last reported longitude and latitude, then spiral outward from there, searching for clues. 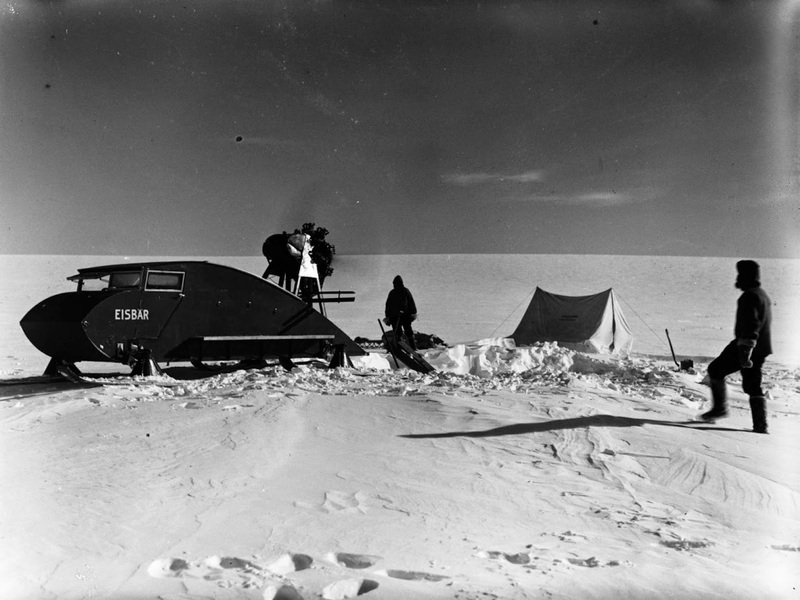 They barely made it to the location, and the current scene has the PCs fighting exhaustion while setting up camp, trying to complete tasks necessary for their survival before they pass out from exertion and sleep deprivation. The stakes are as follows. A very bad failure would almost certainly leave them frostbitten in the morning and expose them to attacks from polar bears. A milder failure would protect them from the worst of hypothermia and wildlife, but their security equipment would be neglected. No lights readily available to observe strange comings and goings in the night... no snares or alarms... no ammunition unpacked and weapons ready... Success would have their camp set up adequately, with security measures in place. The stakes of the current scene are moderate. It's a threat scene: They've found the coordinates, and now they have to try to set up the best camp they can, but the environment will maim or kill them if they fail. (Threat scenes are scenes where the conflict arises from outside the protagonists' actions - in this case, the polar bears and intense cold) The stakes are very immediate. The conflict is "man vs. nature" and the stakes are a risk to their life and limb and security (see above). A very bad failure would endanger their very lives. A mild failure would leave them exposed to unknown dangers. Perhaps whatever happened to the original team could happen to them if they're not careful... But the stakes are also contained and temporary -- even if polar bears (or worse) wrecks their camp and leaves them injured, they can rebuild it and do some first aid. The plan could ruin their current scene and set back their plan by a few days, but it is unlikely to interfere with their story goal or exacerbate the story problem. The GM plans to start accelerating the pace here. So the next scene will be an opportunity as the PCs search for clues, followed by exposition that will build unresolved tension by creating new story problems. The scene after will be a threat -- lost in a white-out. It will be followed by another threat -- the despair of discovering two corpses at the bottom of a ravine next to some strange alien-shaped holes in recently cleft ice (sanity losses), followed by exposition as they read what happened to the third scientist. Then a high stakes threat: Do they set up a new camp with the dead scientists' gear or try to find the old camp they lost? Then another opportunity, as they follow the clues to find the third scientist. Then a very high stakes threat as they are attacked by the deranged man. Then even more high stakes threat, as they return to camp to find it mostly destroyed and must weather the night without shelter. Finally, in their darkest hour, they will discover an opportunity: They pick up faint ham radio signals, and, by moving the radio around while braving the cold and polar bears, they are able to trace them to somewhere not far to the Southeast. Unresolved tension means stakes that have not yet been won or lost. More unresolved tension leads to the feeling of faster pace.